The excitement for Virtual Reality continues! We saw some amazing stuff coming from the RIVER start-ups (powered by the Rottenberg Ventures), special mention to FOVE and their awesome VR eye tracking system! They just launched a Kickstarter campaign, back it up! The Project Morpheus demo with the guns was a big star here. It was really fun just to watch the great reactions from the players. We got to try a Sixense demo, also with guns… it was just great! Having controllers definitely adds to the VR experience. We finished the day with a great talk from our friends at Epic. It was good to hear that their Showdown demo worked without any modification @120 Hertz on the Project Morpheus. This is really high end stuff and it was running on a very high end PC rig. The PS4 is a powerful machine and mustn’t be underestimated. But as all good things must come to an end, we need to get back to work now. 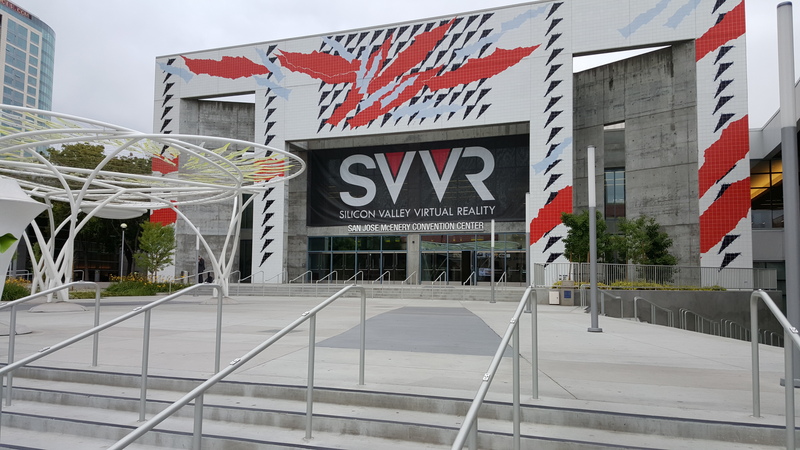 Michael and I are in the Silicon Valley area this week for the SVVR 2015 convention. So far, the event is great, it’s nice to meet other VR devs and chat about our passion for the medium. 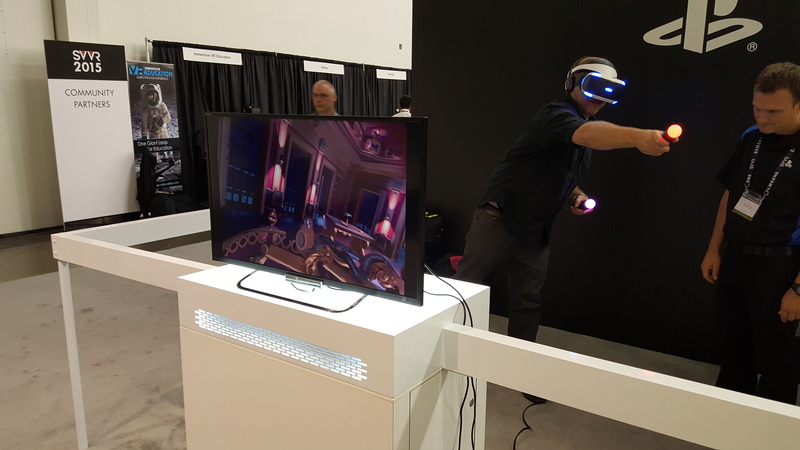 Even though we don’t have our own booth, we brought a pretty polished demo to show to members of the press and other VR enthusiast devs at the event. 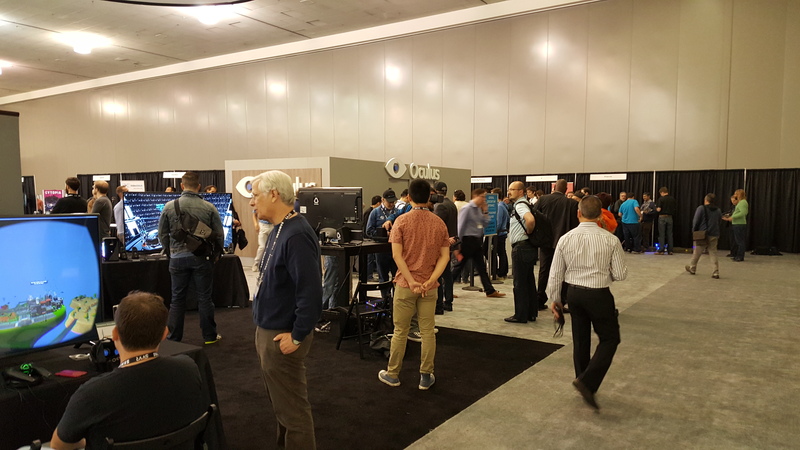 We wandered the showfloor and got to try many cool demos. The teams from Kite And Lightning and Cubicle Ninjas did a fantastic job with theirs. It’s refreshing to see non-gaming VR applications too. There’s a lot of passionate people out there looking to make the world a better place. Also, we were lucky enough to get our hands on the new Oculus Crescent Bay kit and it’s awesome; lighter headset, better resolution, great sounds… can’t wait to try FATED on it. So many people to meet and so many demos to try! We’ll keep you posted tomorrow about Day 2. 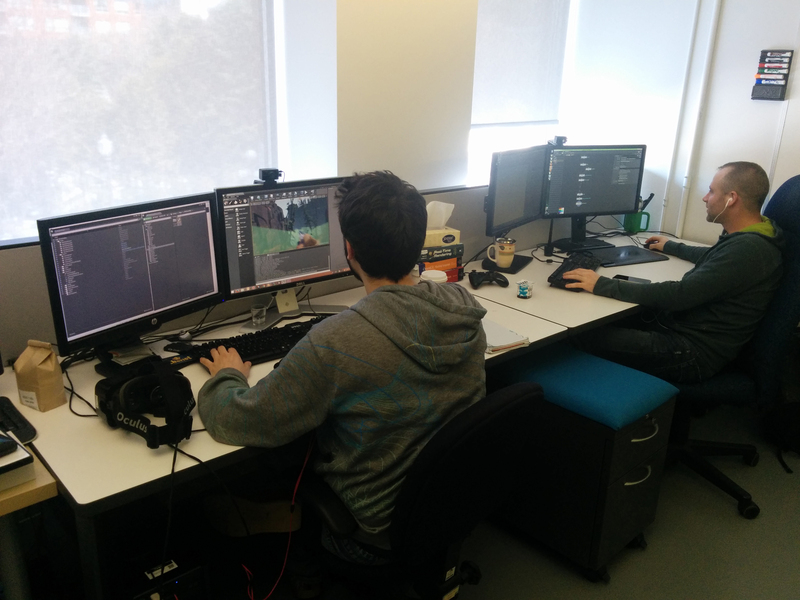 This week, the team is a little bit swamped so we can’t go into the details of what we’re working on. On the programming side, we’re working on finalizing the demo we will be presenting to medias and potential partners at the SVVR Conference & Expo (Silicon Valley Virtual Reality) in May. Our upcoming demo will feature a complete chunk of the story, new animations as well as amazing new visual effects. 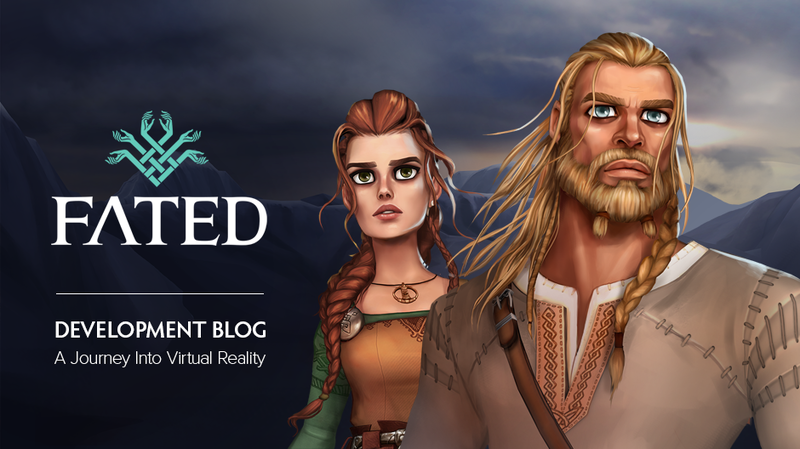 We’re eager to find out what the VR savvy community at SVVR will think of FATED. 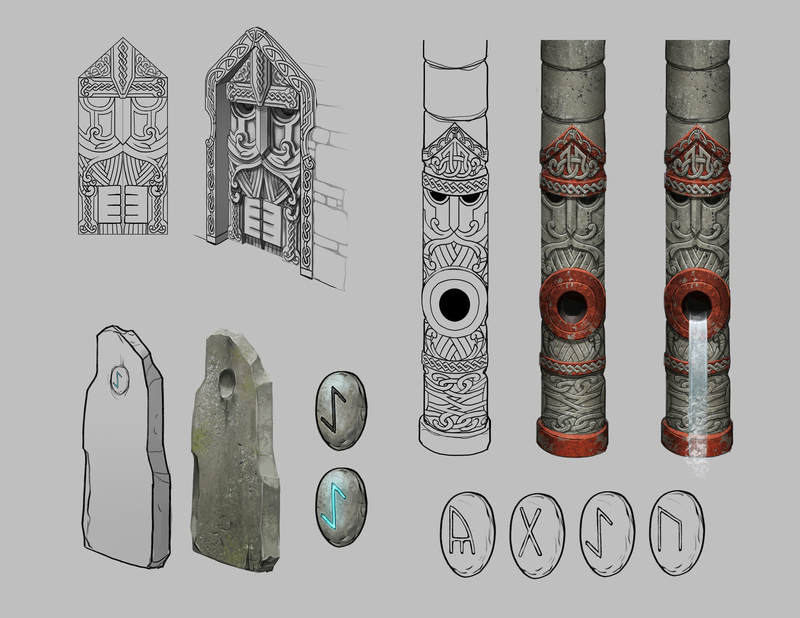 On the art side, we’re working on several props that will come into play in the puzzle-solving part of the game. Please let us know if there are topics you would like us to cover in future entries. 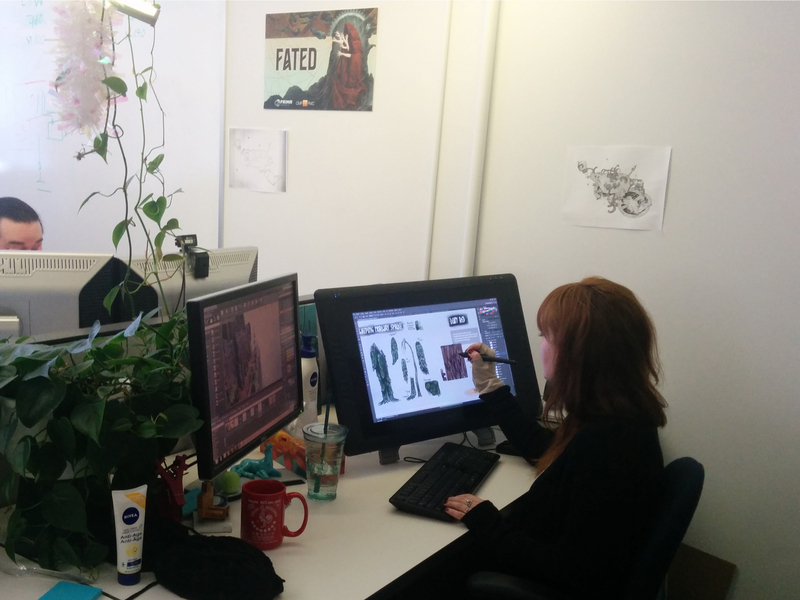 Stay tuned to our Facebook and Twitter to catch all the updates on the development of FATED.